Product prices and availability are accurate as of 2019-04-17 18:48:00 EDT and are subject to change. Any price and availability information displayed on http://www.amazon.com/ at the time of purchase will apply to the purchase of this product. 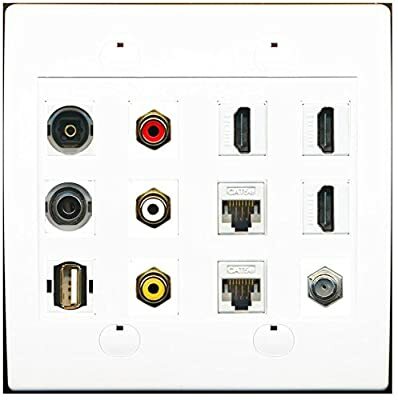 Tooless connection Just plug one cable into the front and one into the back of each port. Wall plate looks the same on the front and back (female to female). 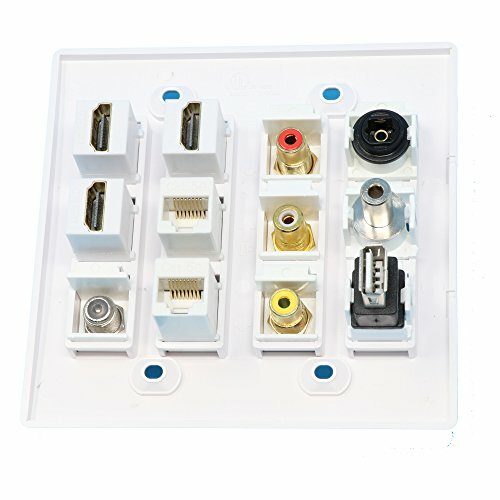 Fits standard outlet boxes and low voltage mounting brackets. Jacks in RiteAV plates are removeable for future upgrades. High quality item. Screws included.